Collecting and restoring old Honda’s is a great hobby but perhaps the greatest reward is to take them out occasionally and ride them like you stole them. 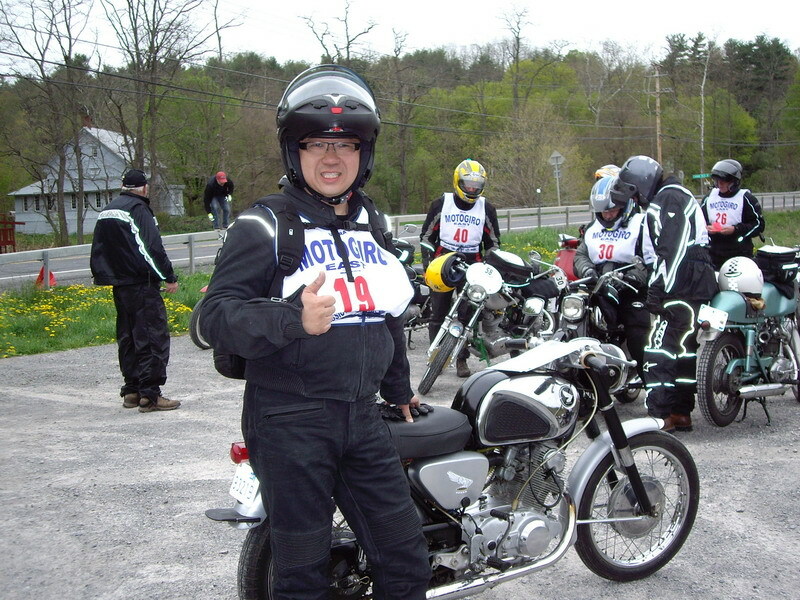 I had the opportunity recently to do just that at the Spring Motogiro event hosted by the USCRA (United States Classic Racing Association) in the beautiful Catskill mountain area of New York State. Having spent the long cold winter months preparing two potential classic Honda’s for the event, I decided to lend the 1965 305 Superhawk to my good friend Ed Liu (who graciously supplied high quality transport to the event), while I foolishly chose to ride the 1967 SS125A. The USA Motogiro rules are pretty basic: the bikes must be manufactured prior to 1968 and are limited to a maximum of 305cc. Using Soichiro Honda’s finest for such an event was a no-brainer: even at 45 plus years old, they are still notoriously reliable and easy to work on should calamities prevail. The stage was set and the Canadian “Eh Team” came together in the parking lot of the Friar Tuck Inn located in the quiet town of Catskill NY. chrome it!” Ed and I were the “newbies” on our budget Honda’s and had to work hard all weekend to prove ourselves worthy. Two long but enjoyable days in the saddle, with cool beautiful weather, saw us covering approximately 350 km of the finest twisty roads the Catskill Mountains had to offer. The organizers did a superb job choosing great scenic secondary roads coupled with realistic skill testing slaloms at various checkpoints. At one point my little Honda 125 had to be downshifted all the way into first gear to scale a rather long and steep incline. The tiny twin never missed a beat and although it was a rather slow climb its 12.5 HP never failed to impress me and always got me safely back to the rally site. When all was said and done all five bikes performed flawlessly with only one minor glitch. 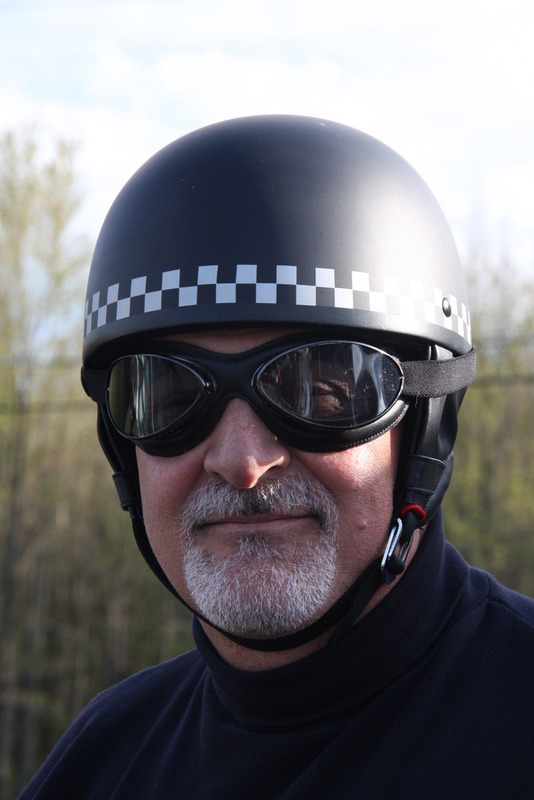 The Superhawk fried its speedometer drive Saturday morning so Ed soldiered on for the rest of the weekend with no way of checking mileage or speed. Having prepped both bikes on a shoestring budget, including a last minute top overhaul of the Superhawk engine the day before the rally, I was just delighted to finish and have the little Honda’s hold together for the duration. Of course the Italian bikes took all the glory and quite a few awards as well. 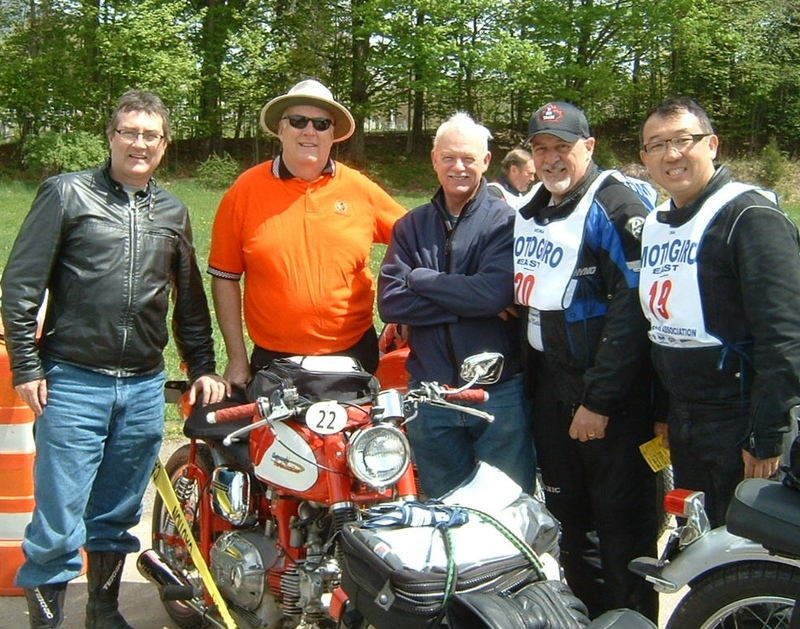 Captain John won a special prize for best finish on his Motobi. 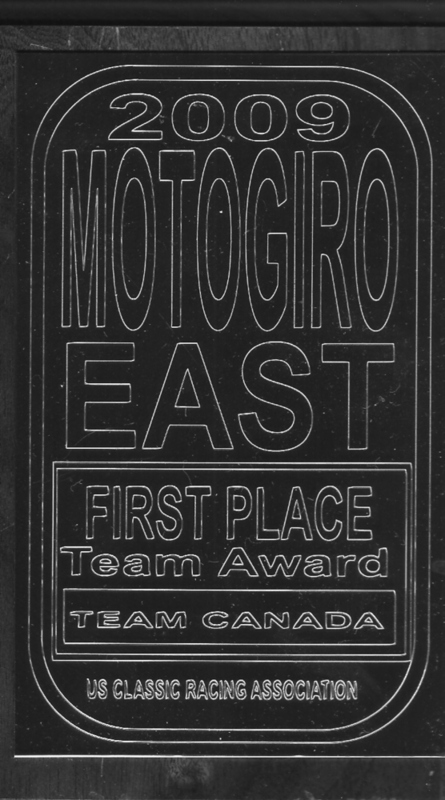 Gary McCaw won the 250 Class on his Ducati with John Lightfoot a close second on the Aermacchi. Perhaps best of all though was when all the team points were tallied and the announcement was made that Team Canada had won the coveted “Team Award”. At that point even our frugal Honda’s seemed to shine a little brighter. 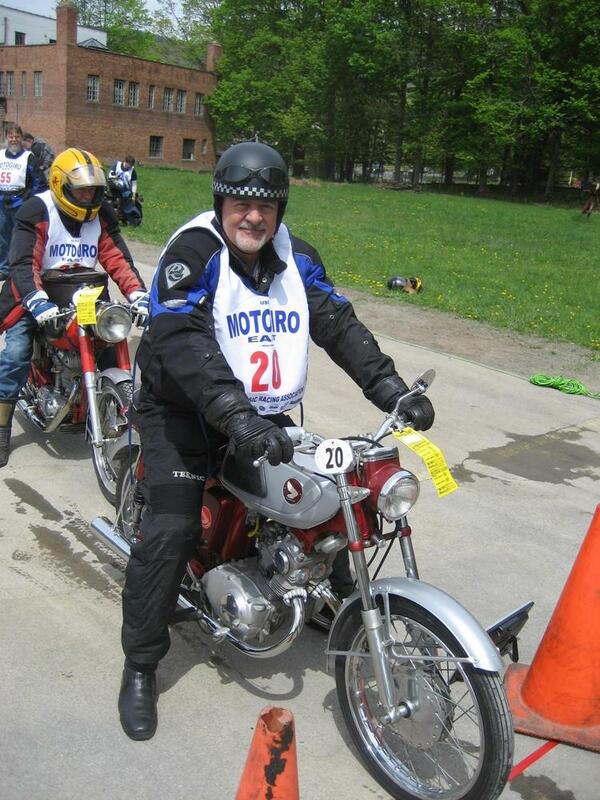 It was great fun and a fitting end to my very first Motogiro. Now that I am hooked I will likely return for more, but next time I’ve got definite dibs on the Superhawk!